The Golden Game presents in words and pictures 150 years of baseball history, from sandlot ball in the 1850s and the Pacific Coast League to the western arrival of the Dodgers, Giants, Angels, Athletics, and Padres. Here is a stirring, colorfully written narrative about the state that has been the birthplace and proving ground for more Major Leaguers than any other, including Joe DiMaggio, Ted Williams, and Jackie Robinson. Blending U.S. and California history as a backdrop to a narrative rich with anecdotes, The Golden Game reveals the significant impact that California has had on baseball history. 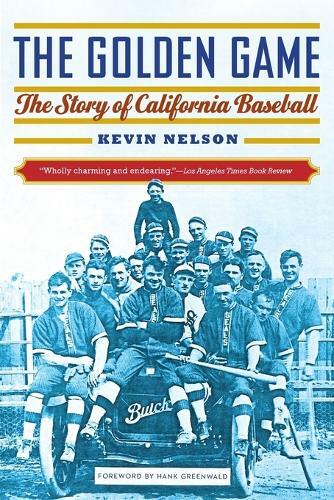 Written not just for Californians but for all baseball fans, The Golden Game goes beyond its geographic boundaries to tell the fascinating saga of California baseball and how it has indelibly shaped the national pastime.